It's not uncommon to look a few years younger or older than you actually are. But, imagine looking decades older than your age. For people with progeria, a genetic condition that causing rapid aging, it's not uncommon to look 30 or more years older than they actually are. While progeria is typically associated with Hutchinson-Gilford progeria, the term may also refer to Werner syndrome, also known as adult progeria. About 97 percent of children with progeria are Caucasian. However, affected children look incredibly similar despite their different ethnic backgrounds. Most children with progeria live to be about 14 years old and die from heart disease. Werner syndrome occurs in about 1 in 20 million individuals. Signs of Werner syndrome –– like short stature or underdeveloped sexual characteristics –– may present during childhood or adolescence. However, symptoms typically become more noticeable once a person hits their mid-30s. Werner syndrome occurs more often in people of Japanese and Sardinian heritage. People with Werner syndrome survive to an average age of 46 years old, with most succumbing to heart disease or cancer. Werner syndrome is caused by mutations in the WRN gene on chromosome 8. Progeria caused by a mutation in the LMNA gene on chromosome 1. The LMNA gene produces Lamin A protein, which holds the nucleus of our cells together. Researchers believe that these unstable cells are responsible for the rapid aging associated with progeria. Researchers hope that by studying these genes they can develop treatments for both conditions that prevent it from being fatal. Kaiser, H W, (2002). Hutchinson-Gilford progeria. eMedicine. Scientific American.com. (1999). 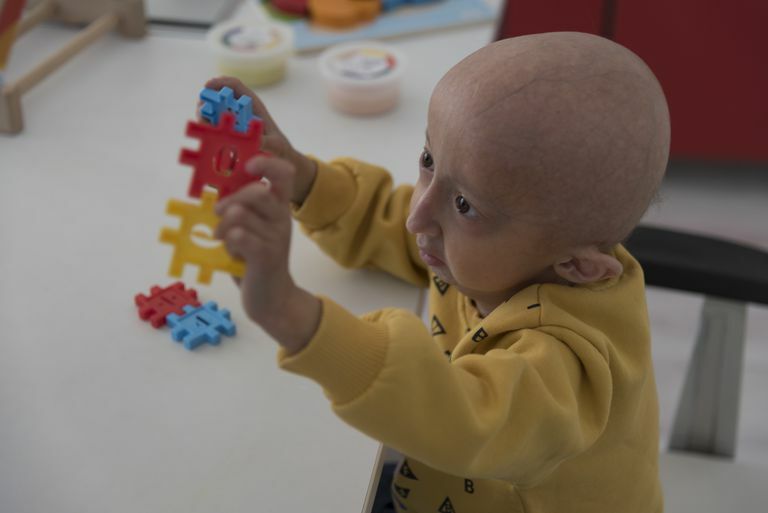 What do we know about the cause of Werner syndrome and progeria, the disease that leads to premature aging in children?